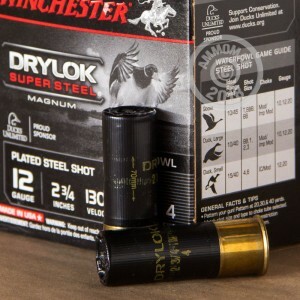 These water-resistant shotshells make a great waterfowl load for your 12 gauge shotgun. 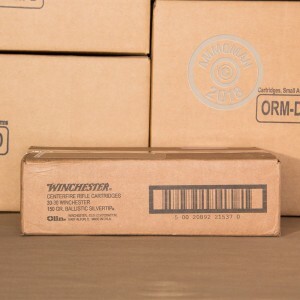 Manufactured in the USA by Winchester, this ammo comes in boxes of 25 and fires a heavy 1 1/4 oz payload of #4 steel shot at 1,275 feet per second. 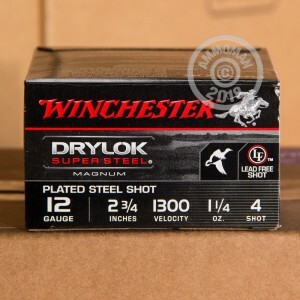 Unlike range loads, these shells use special components optimized for marine environments such as a steel Drylok wad and lacquered primers that help keep splashes of water from reaching the powder charge. If you're doing some serious hunting, you'll need more than 25 shells. Fortunately, AmmoMan.com offers free shipping on all orders over $99 so you can buy as much as you need without worrying about outrageous S&H at checkout!